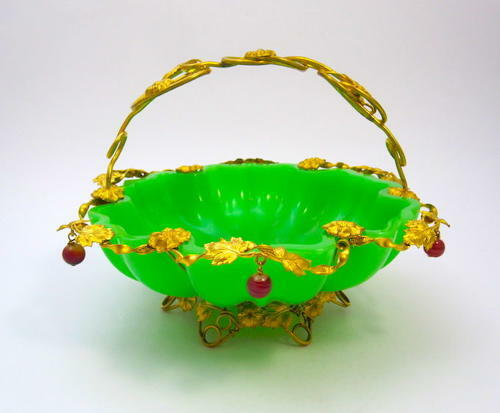 Very Large Antique French Palais Royal Green Opaline Glass Basket with Very Fine Dore Bronze Mounts Undulating Round the Rim and Pink Opaline Baubles Hanging Down. The Handle also Beautifully Decorated with Fine Dore Bronze Mounts in the Shape of Leaves. Circa 1860 - Large Size !